So, in my last post, I explained that I have a new Adsense account and some of the things I am doing differently to keep it. One of those things I am doing is trying to be less aggressive in my Adsense placement. Having an extemely high Click Through Rate can be one reason why an account could get shut down. However, another reason is click bombing. I don't think I was a victim of a click bomb attack, but I really don't know. A click bomb attack is essentially where a bot or malicious person repeatedly clicks the ads on your site, which can negatively affect your account standing with Google. I believe that Google does have some measures in place to try and mitigate this from occurring; however, there are still plenty of stories out there of people getting their account shut down for this reason. One well documented occurrence was on Acme.com here. Jef was lucky to have Matt Cutts chime in and others to get his account reinstated; most of us humans will never get that kind of attention. For this reason, I think doing all that you can to prevent malicious click attacks is a good idea. I've taken a look at a few different Click Bomb Prevention plugins, and I wanted to share my thoughts on each of them. First up is a free option called Ad Logger. This plugin does several things; however, one of those functions is that it can stop showing ads if too many clicks take place in a short period of time. This is exactly what we are looking for here. The other word of caution is that it has only received 2.5 out of 5 stars and hasn't been updated in a year. So, you can select to only show ads to search engine visitors, or return visitors, or both. You can also set how many ad views the visitor can have before the ads stop displaying. This is a great way to prevent click bombing. Overall, I like the plugin. It hasn't been updated in over 2 years, so that's an issue – but from my tests, it still works. However, the downside is how to use the code it generates. Its time consuming and can be difficult to get your ads to display where you want them to. This could be a deal killer for many people. So here's how it works. Once you set all your conditions (see image above), and input your adsense code (or other advertising code), then you get a snippet of code, such as this: <!--wsa:contentads-->. Then you have to take that code and insert it into your posts where you want your ads to display. This can be cumbersome and time consuming, especially if you want your ads to float left or right. You will have to dive into the PHP code from your wordpress editor if you want to do that on all posts at once. I tried to insert the code into the Quick Adsense plugin, but the ads did not display – so that option won't work. Overall, its a very cool plugin and from my tests it still works even though its old. But getting your ads to display in the locations where you want them will take quite a bit of time and effort, and may not even be possible if you are unfamiliar with PHP. 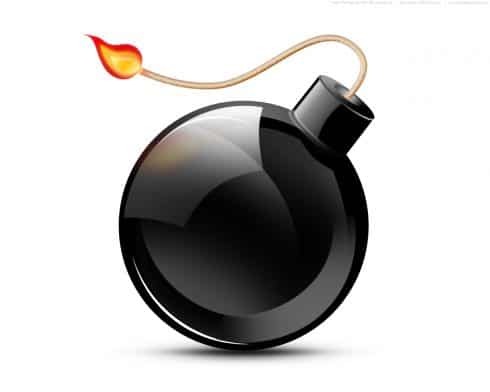 My final clickbomb prevention plugin was created by a NichePursuits reader, Scott Frye! Scott contacted me a while ago and gave me some insights into his plugin. Clickbomb Defense is a plugin that makes it very easy to specify the number of pageviews that each visitor can have before your ads are no longer displayed. Insert your adsense code for and select locations to display ads. Insert a secondary code for when your Adsense is no longer displaying (optional). 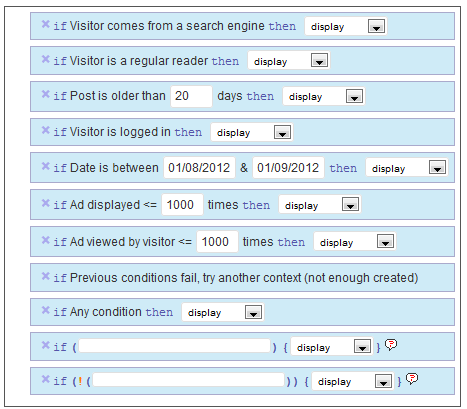 Specify the number of page views each visitor is allowed to view your ads (this will prevent repeatedly clicking). Specify whether to display ads to all visitors, or only those coming from search engines or other specified sites. Overall, its pretty simple to use and it works as advertised. I've tested it out without any hassle. In addition, I've exchanged a few emails with Scott (the creator of the plugin) and he's very responsive and willing to help or listen to suggestions. This plugin is not free, but its a very reasonable price. And you can also use it on an unlimited number of sites, so its truly a one-time purchase. If you are interested, you can check out the Clickbomb Defense Plugin here. Yes, these are affiliate links and I will make a commission if you decide to purchase. If you do, I appreciate the value you've placed on my recommendation and the time I've put into reviewing these different plugins to make your life a little easier. This plugin is not required for everyone, and you may be able to get by with the free options that I mentioned as well. But overall for ease of use and effectiveness – Clickbomb Defense is the best plugin I've seen to prevent clickbombing. Overall, I've shared a few plugins that I have found that can help prevent clickbombing. I think each of these plugins has some great features. What do you think? Have you used any of these plugins and what's been your experience? Do you have any other methods for preventing click bombing? The clickbomb defense plugin looks like it’d work really well. Though I’m sure there are (and always will be) ways for people to get around it if they really wanted to, but for the average person just trying to clickbomb you to be spiteful or because they are your competitor, it looks like it would work great. What do you do to protect Adsense account using WordPress? I was reading on another forum where a member was under the impression they were being click bombed on their ads that were all above the fold. What they did was removed those adsense ads with fake banner ads that would then log the ip addresses of whoever clicked on them. They then would either block or report the offending IP to their host to prevent further issues. I also came across a plugin called Adsense Defender but have no personal experience with it but it might be a nice option but does come with a fee. Thanks for sharing Adam. Logging the offending IP address is probably a good way to stop someone if you know you are getting clickbombed. The reason that IP enforcement is not more strict in the plugin is that there are many times when a company, college dorm or other location may all be sharing one external IP address. The CBD plugin is designed to be able to tell the difference from these computers sharing the same IP, and block out only the ones that are considered malicious. Thanks for the post Spencer! I’ll definitely consider getting the clickbomb defense plugin since we have so many sites now. It really sounds like a great tool. Clickbomb Defence is a great plugin, is a tool that I consider to have as well. Sure, I will buy through your link as a thank you. I can’t believe that there is such a need for a tool like this. I mean, who has the time to clickbomb your site? Who are these people? Am I just naive or is this a regular practice of unscrupulous niche site makers? Is this the norm or the exception? Great tool!! I’ll be sure to read more on it..spencer does it blend easily with your NicheSite theme or CTR theme? Any problems in code and whatnot? Its the exception – and its probably not humans clicking the ads. Spencer, thanks for the info on the plugins. How about on regular html sites? is there any program or code that can prevent click bombing on sites that are not wordpress? I believe there are PHP scripts out there, but since I use WordPress, I haven’t looked into it much. We know a couple of guys that were victims of click bombing and it did cause their AdSense account to get shut down. Most of the time, Google’s pretty adept at catching this stuff and shutting it down, but I heard about their issue and dug into their stats and analytics a bit. They were making like $15 or so per day and all of the sudden had a $500 day. They were excited, but I told them that’s HIGHLY suspect and they should report it, disable ads on their site, etc. After looking at their analytics, there was a HUGE spike to their sites over a two day period. All of the traffic came from various IP’s or countries and stayed less than 9 seconds and almost all clicked an ad on their site…very automated/spammy. Anybody tried Spyder Spanker? It has been getting some rave reviews in the forums. Sounds like a great recommendation – and I’m glad you got back in Google’s good graces – per your previous post. Although I do have a problem with the idea of building a business with the idea that Google is your biggest customer. ie. pleasing Google instead of the people visiting your website(s). The sooner people get away from this (slowly dying) way of making money online the better. I feel the plugin is so useful to avoid banning of Adsense accounts. Thanks for the share. Has anybody had any experience with Adsense Defender? Didn’t work when I uploaded it, support emails were not responded to. Do any/all of these work with individual themes? Like CTR, etc. where you put your adsense code into the boxes defined by the theme itself? Seems like a sweet plugin. This plug in can only take control of only two ads on your site? I usually have one ad in the content one in side bar and two link units on top and bottom of page, how can I protect this link units please? Use the other 2 plugins I mentioned in the post. I’ve just installed Click-bombing protection plug-in. I guess it’s something similar to click-bombing defender. It is indeed a good idea to protect your adsense from click-bombers considering that it is always almost impossible to convince Google to reinstate your account once you are banned. I Don’t recommend Clickbomb Defense because of their support. I emailed them regarding a technical problem and they don’t answer. Just use the FREE options instead of wasting your MONEY! good post i am new in this business. what is the good CTR for a site(adsence)? i faced some huge click attacks in past. can we have Video Tutorial on how to use and setup those free plugin ? Great article i have never seen before this and nice tips. Now i am going to install the Ad logger in my WordPress account. I was hesitant about Who Sees Ads, too, because of its age and the fact that it outputs PHP. One majorly helpful thing it does, though, is very easy to miss. I haven’t seen anyone writing about this feature and how it can make WSA work easily for some widget-based WordPress ad schemes, so I thought I’d mention it. When you create an ad unit in Who Sees Ads, it also automatically sets up a new widget for you, on your Widgets page. Every ad gets its own WSA widget, named whatever you called its WSA context. Just drag the new ad widget you want to show in the sidebar, and there’s your WSA-enabled ad! No need to worry about the PHP part. I’ve been helping a friend fortify their clickbombed site today, and WSA has been incredibly useful once we figured the auto-widget function out! The fact that you can daisy-chain the WSA ad units using rules to create something that looks like ad rotation (but among ad units from any affiliate program or combination of programs you want) has also been great. Thanks for sharing! Sounds like some great functionality with the the plugin + widgets. Hi Spencer, looking to get clickbomb defense, is there a way to be able to put it under a navigation bar? I do not see that as a choices, does clickbomb defense have a tag id where we can customize to wrap it around an adsense code.. so it would activate no matter where we put it ? Sir my account has been dis approved for Invalid Activity but i have not clicked on my ads….Always it happens like that…I had more than 10 account…All the time same…..I have Used Blogger…….My account goes always with invalid activity and Dis approves…I hope you will help sir…Please….If it happenes same i cant earn money in adsense always account dis approving ….Please tell the Answer that to Protect our adsense account and Never get Banned from GOOGLE ADSENSE…. it has been very very useful!! is there a way to protect form click bombs in that case? I’m not sure on that one. You can likely just use an outside plugin to display adsense though, rather than using some built in theme function. there seems to be a function that randomly displays different categories on the top header every time one clicks on a post. Spencer which clickbombing plugin do you use?